Scientists have uncovered that an emerging gene therapy for Parkinson's disease creates new circuits in the brain associated with improved motor movement. These findings, published today in Science Translational Medicine by Feinstein Institute for Medical Research Professor David Eidelberg, MD, and his team, explain the therapeutic mechanisms involved in the emerging Parkinson's gene therapy called AAV2-GAD. 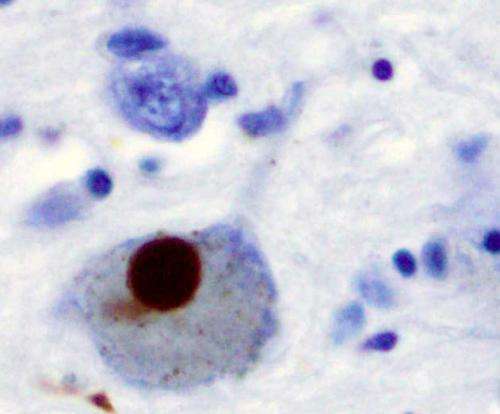 These findings help the scientific and clinical communities by progressing AAV2-GAD into clinical trials while providing a better understanding about Parkinson's disease treatment response and effectiveness. Parkinson's disease is the second most common neurodegenerative disease in the United States. Patients often experience tremors, slowness of movement (bradykinesia), rigidity and impaired balance and coordination, resulting in difficulty walking, talking or completing simple daily tasks. Current therapies and medications for Parkinson's disease aid with symptoms, but do not slow the underlying neural degeneration. Gene therapy, which injects genes into cells to correct abnormalities in brain function, is an emerging therapeutic approach for neurodegenerative disorders such as Parkinson's disease. Recent phase 2 clinical trials showed that delivering the gene glutamic acid decarboxylase (GAD) into a part of the brain called the subthalamic nucleus had therapeutic effects for patients. Dr. Eidelberg's examination of the mechanisms of AAV2-GAD therapy discovered that the therapy's mechanism of action is unique compared to other Parkinson's treatments. "Current Parkinson's disease therapies act on the abnormal disease network in the brain and often stop working over time as the body builds a tolerance. What we observed with AAV2-GAD therapy is quite the opposite," said Dr. Eidelberg who is the senior author of the paper. "We found that AAV2-GAD leads to the formation of new neural pathways in the brain, connecting the subthalamic nucleus to other motor regions, thereby improving motor symptoms for as long as 12 months." In the study, Dr. Eidelberg and his team analyzed metabolic PET scans from 15 Parkinson's disease patients who received the gene therapy and 20 who were randomized to sham surgery and then rescanned six and 12 months after surgery. What they found was that those who received the gene therapy started to form new brain connections, which matured by the end of the 12-month study. Dr. Eidelberg's team plans to use the appearance of these new circuits as a treatment biomarker in an upcoming phase 3 clinical trial for this new intervention for Parkinson's disease. "Dr. Eidelberg's research in Parkinson's disease has opened important new avenues for mapping brain networks that are fundamental to understanding debilitating movement disorders," said Kevin J. Tracey, MD, president and CEO of the Feinstein Institute. "This latest work mapping the therapeutic benefit of AAV2-GAD gene therapy is a major next step to further refining therapies that combat the root causes of the condition."